Beware Exploding Manholes in NYC! Home / Blog / Does NYC Have a Manhole Explosion Problem? Does NYC Have a Manhole Explosion Problem? 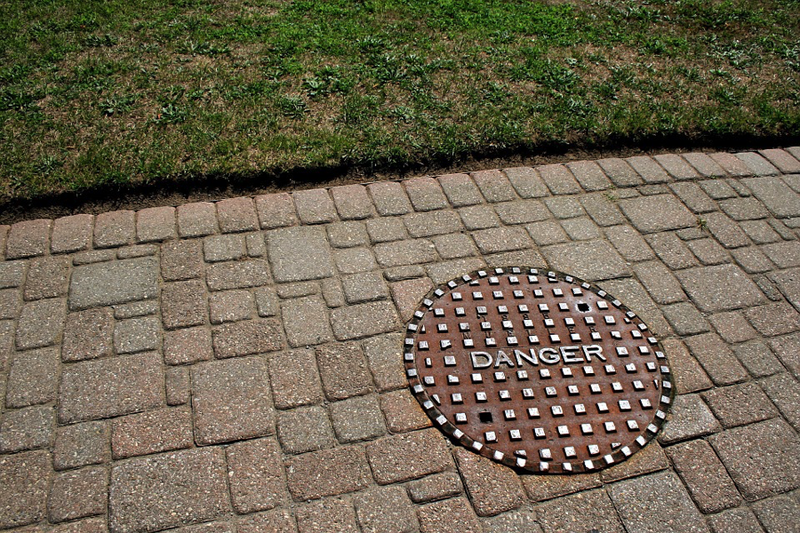 There are about 246,000 manhole covers throughout the streets of New York City’s five boroughs, and each one poses the threat of severe injury to residents and visitors. The danger with these 250-to-300-pound cast-iron discs is that they can be thrown high into the air by underground explosions. And this phenomena is not uncommon. In fact, it happens an average of six times per day in New York City—particularly in the winter months. Beneath the city lies a 98,000-mile labyrinth of electrical wires and cables, which makes up the oldest urban electrical system in the country. The problem is that the insulation on these wires and cables (some of which are nearly 100 years old) has deteriorated badly, exposing the naked wires that carry the electrical current. There are multiple reasons for the insulation’s deterioration, including age, exposure to the elements (particularly salty runoff from the streets above), and being chewed on by rats. During the winter months, salt is poured on streets and sidewalks to prevent ice from building up. The melting ice and snow mixes with the salt, then seeps down into the sewers and makes contact with the exposed electrical wires, shorting them out. This results in fires, and sometimes, explosions. Manhole cover explosions often result in severe injuries, including burns, blunt force trauma, and broken bones. In 2014, a manhole killed a father of three when it crashed through the man’s windshield in the Bronx. More recently, one person was hurt and two buildings were evacuated in a two-manhole explosion in Lower Manhattan. The second manhole exploded about a half-hour after the first, and witnesses felt the blast up to the 27th-floor. The evacuation was necessary due to high carbon monoxide levels, which can be deadly. Manhole explosions can also cause extreme property damage to vehicles and businesses. In August 2018, another pair of underground explosions caused a power outage on the East Side and sent smoke billowing up through the street. If you’ve been injured or lost property due to a manhole explosion, the City of New York and the utility company, Con Edison, can be held liable. But, personal injury claims against giant corporations like Con Edison and large municipalities like New York City can be complicated affairs, involving high-priced lawyers and state regulations that protect municipalities. In order to get the just compensation you deserve, you’ll need to enlist an experienced and determined NYC construction attorney to represent you. The seasoned legal team at Pollack, Pollack, Isaac & DeCicco, LLP will take a personal interest in your case, and will fight to help you recover medical bills, lost wages, damaged property, and much more. Call 929-223-4195 today for a free case evaluation with The Case Handler team at PPID.